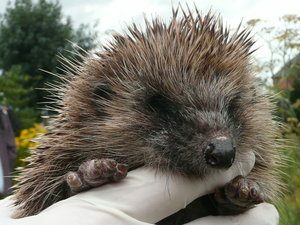 Knighton Wild committee member Bev Hart is a member of Leicestershire Hedgehog Rescue and looks after hedgehogs that have been rescued from accidents or found by members of the public in a bad way. She currently has eleven hedgehogs and is desperate for old newspapers that she can use for bedding for the hedgehogs and to go in the bottom of the boxes to make it easier to clean them out. If you have some newspaper that you drop off to her, you can drop it in to 18 Wyndale Road.